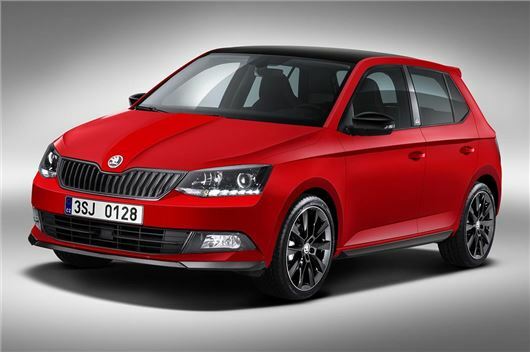 Skoda will reveal the stylish Monte Carlo variant of the latest Fabia at the Geneva Motor Show. As with other Monte Carlo models, the new Fabia gets black alloy wheels and black exterior styling details, including tinted glass. Available in hatchback and estate body styles the Fabia Monte Carlo is based on the SE trim, but gains the aforementioned styling tweaks, plus sports seats and a leather-covered steering wheel, so expect to pay more – around £13,400. The Fabia Monte Carlo is due in the UK from Summer and will get the same engine range as the SE, with no higher-power option to match the sporty looks – but sports suspension is offered as an option.